Another new build with a very beautiful design and a good budget. There were many challenges with regard to the footings, steel beams sizes and roof structure. The plan was to demolish an existing 1960 three-bedroom house and in its place build a four-bedroom house with ensuite for each bedroom. Large luxury family bathroom with a jacuzzi bath, fully tiled with porcelain tiles. The new accommodation included a new open plan kitchen diner, plus utility and cloakroom. 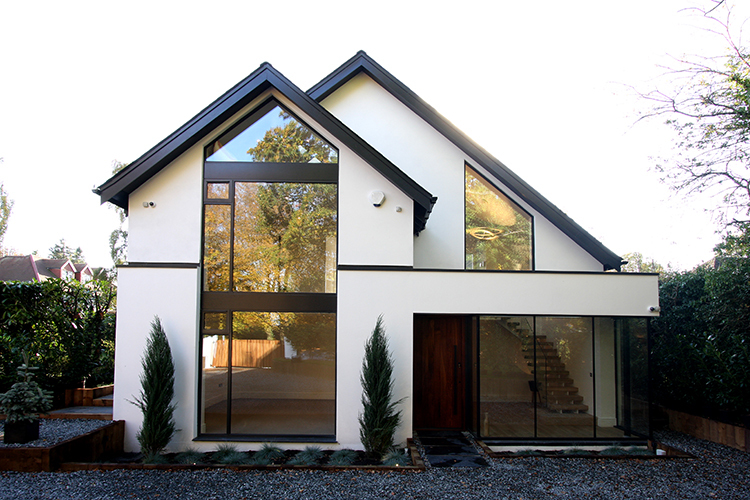 The feature aluminum bi-folding doors and new windows bring the outside into the house. Underfloor heating and the latest mega flow boiler system was installed, and the gardens landscaped. The project was completed in just 24 weeks.